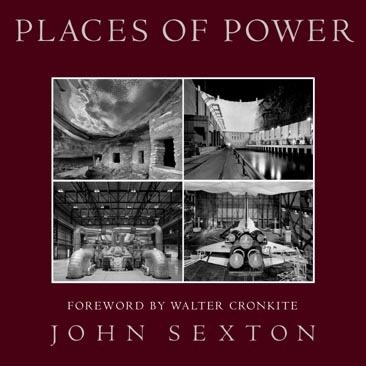 Places of Power, John Sexton's third book, transports the viewer to places few have experienced firsthand. This beautifully produced book explores the haunting mystery of ancient Anasazi cliff dwellings, the monumental scale of Hoover Dam, the massive energy of steam turbine power plants, and the intricacies of the Space Shuttle. The eighty-three striking photographs in Places of Power bring the viewer into intimate contact with these amazing technological achievements. Seen through Sexton's eyes, these structures and machines built for utilitarian purposes are transformed into miraculous sculptures. In addition to the vibrant reproductions, the book includes an insightful foreword by legendary journalist Walter Cronkite, as well as an intriguing essay by noted computer scientist, Rob Pike. 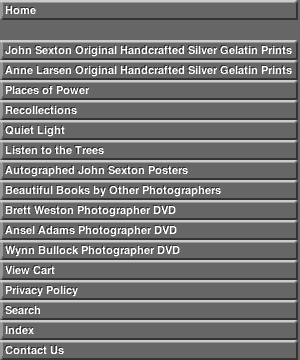 John Sexton shares his experiences and challenges in the making of these photographs in his own essays. Marked by the same excellence in printing and design as Sexton's other award-winning books, Recollections, Quiet Light, and Listen to the Trees, Places of Power is an equally outstanding experience. "Sexton's artistry illuminates the idea that within humanity's dreams and intellect there exists a divine spark." "I have rarely seen such beautiful images of industry - including the landmark work of Alfred Stieglitz, Lewis Hine and Walker Evans. The images are so beautifully printed that they seem to leap from the page - and Sexton's description of how he achieves such luminosity is worth the book's asking prices all by itself." "The images in Sexton's Places of Power are rich and evocative. Immense detail is presented with a precision rarely seen in contemporary art photography. His expressive sensibility celebrates the energy and mystique of these places. All of the information is there, but the mystery remains. These are truly wonderful photographs!" "What John Sexton understands is that there is beauty in human invention, whether it is a cliff dwelling or a Space Shuttle. The power of these photographs is that they capture the magnificent spirit with which human beings have met the challenges of existence -- on this Earth, and beyond it"
- Andrew Chaikin, author of "A Man on the Moon"
"In Places of Power John Sexton takes you on a journey trough human creations which help define people's desire to understand and shape their world." "Photographer John Sexton has combined his artistic perspective and talent with a world-famous engineering accomplishment to create an unparalleled collection of Hoover Dam images." � Copyright 2000 - 2019 Ventana Editions. All rights reserved.